Madrid is a city with a little bit of everything. Romantic, narrow alleyways wind through the historic district, and large parks seem to appear out of nowhere. Flamenco dancers twirl their brightly coloured costumes in cafes, theatres and restaurants. Young groups of friends flock to the bars and discos, well after midnight until the early hours of the morning. Sports are an integral part of life in Madrid, and bullfighting is a time-honoured tradition that still brings tourists and native Madrileños to its arenas. 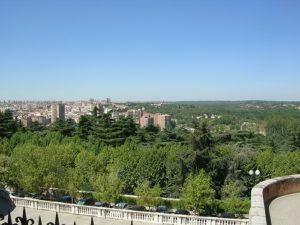 One of the largest public parks in Europe is Madrid’s Casa de Campo. The Casa de Campo houses an amusement park, zoo, and cable car station. From there, take the cable car to the Parque del Oeste to enjoy the sweet fragrance of its large rose garden. El Retiro is one of Madrid’s most popular parks, where visitors can go boating on the lake or visit the Crystal Palace. There are also many live shows in the park on the weekends. Madrid is rich in historical architecture and monuments; it would take days to visit them all. Its Moorish past combined with its Catholic roots make Madrid a fascinating place to behold. Grand cathedrals blend traditional Gothic spires with Moorish towers. Madrid’s oldest bridge, the Puente de Segovia, crosses the Manzanares River and is quite impressive. The Plaza Mayor is the picturesque central square. Close to many of Madrid’s other museums and monuments, the Plaza Mayor houses a variety of restaurants and cafes with outdoor seating. It’s the perfect place to rest after a long day of sightseeing. 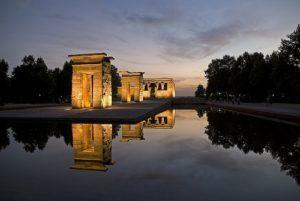 The Debod Temple is an ancient Egyptian temple that was moved to Madrid after the construction of the Aswan Dam in 1960. An odd juxtaposition to the Spanish and Moorish architecture, the temple is a unique place to visit. Tourists can also visit the remarkable Royal Palace, the largest in Western Europe. The beautiful building was built on the site of a Moorish castle that was destroyed in the 18th century and is surrounded by beautiful gardens. Bullfighting is still the ultimate example of self-defence. A dramatic dance between the matador and the bull, bullfighting is more than a display of power or violence. It entails the awareness of the massive animal’s desire to hurt the matador. 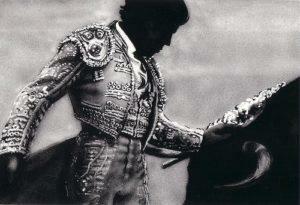 The matador then uses distraction to gracefully divert the bull’s attention so that he wears himself out. Keeping his distance, the matador plays a deft game that involves provoking the bull to come closer while staying out of harm’s way. The main bullfighting arena in Madrid is Las Ventas, a Moorish-style building that is also used for concerts and political events. Madrid is full of art and culture, as evidenced by its many museums. The Prado is one of the most famous art museums and houses a collection of artwork by such masters as Velazquez, Goya and Bosch. The Reina Sofia contains Picasso’s “Guernica,” a moving commentary on Spain’s Civil War. The surrealists Miro and Dali also have paintings in this museum. At the Museum of the Americas, visitors can discover thousands of artifacts from South, Central and North America and learn about the mysteries of ancient societies. 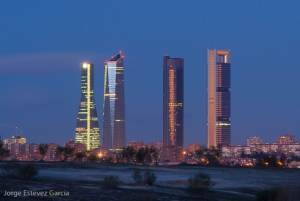 Madrid has been called “the city that never sleeps.” People tend to eat a late dinner around 10 p.m. and then stay out until the sun rises. 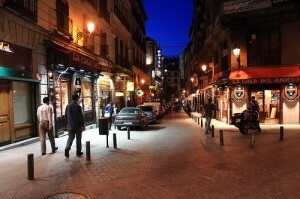 Bars, pubs, and discos line most of Madrid’s streets. Madrid even has traditional Irish pubs scattered throughout the city. Visiting Madrid is like walking through a contemporary museum. Buildings and streets retain their historic appeal while the people walking among them are hip, modern, and lively. Whether on your honeymoon or experiencing a traditional bullfight, it will certainly take your breath away. Gustavo Mendosa, the author of “Escape to the romance of Madrid” is a travel writer and self-defence enthusiast, and in particular trains and enjoys studying mixed martial arts. He frequently contributes content for Hertao. A really good summarize of Madrid :). We´d like to just add some recommendations for the nightlife. If you are in Madrid; do not forget to go to Tribunal and Huertas. 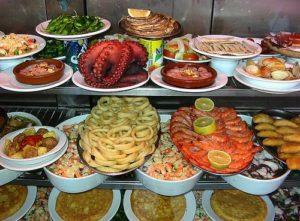 You will enjoy of the typical Spanish way of life :).